You are where you are today because approximately twenty-one years ago, three people had one idea. They had studied at top universities in the US or Great Britain, returned to Germany, and met while working at consulting firms. They were impressed with the education they had received abroad and expressed their dissatisfaction with the German educational system. Eventually, they committed to creating a liberal arts college in Germany [*1]. Many others joined them, and their ambitious work has resulted in the institution we know today as Bard College Berlin. What was their vision? How did the college develop? Why did you, dear reader, decide to come here? If you are reading this as a student, did you know what a liberal arts education entails when you applied for the college? I promise you that after reading this article you will have even more questions. Before we go back to the origins of Bard College Berlin and liberal arts education, let us go back to our birth — human birth. We don’t decide to be born, but we are born into this world. It takes 9 months to grow in the womb of the mother. Heart, eyes, ears, lungs, brain, bones and flesh are programmed in the zygote. From a single cell made up of the fusion of two, we become one being — an infant, a child. Our senses get sharper. We become more conscious of the events around us and begin to ask questions. We usually stabilize in our social environment. Our days become structured, and the environment we operate in also appears to be so. As we grow older, we take on more responsibility, recognize the possibility to shape our lives, contemplate and influence the world around us. Our life on this earth is limited, but this fact is no hindrance to commit to it and can even be taken as an incentive. Life’s objectivity invites the subject to questioning: How do we want to live on an individual and societal level? Which forms (have) exist(ed) to organize human life throughout history and how can we radically question and recreate them? Bard College Berlin gives us the opportunity to think about these vitally important questions, alone and in discussion with others. The university invites us on this journey with a powerful beginning. When you enter the building P98, you see a quote on the wall from one of the first books we read at Bard College Berlin as part of the Core course: “Thus, Glaucon, a tale was saved and not lost . . .” In Book X of Plato’s Republic translated by Allan Bloom, the sentence continues with “and it could save us, if we were persuaded by it, and we shall make a good crossing of the river of Lethe and not defile our souls” (621c). Spoiler alert, dear first-year students: Socrates rounds off the Republic with the myth of Er. Er is a strong man who dies in war. His soul takes a journey and witnesses the structures of the afterlife so that he can be a messenger to mankind. He sees how lots are given out among the souls and each one picks a fate for their next life. The image of life in a package to be picked suggests that our human existence is reduced to an unchangeable story script. Once a soul commits to this single choice, they are bound to that life path. Socrates interrupts the narration here and explains to Glaucon that the study of philosophy provides the knowledge to distinguish between a good and bad life, to choose and create a better life [*2]. He raises awareness about the possibility to choose and create in the now. His interjection connects the past and present, revealing how a decision in the past will affect the state of the present. Thus the tale’s central appeal is to radically rethink life and human beings: They are always up for reshaping, redefinition and reinterpretation rather than static entities passively living their life scripts. Connecting it to Bard College Berlin, the quote in P98 can be understood in reference to preserving the tradition of liberal arts. Socrates’ myth reminds us that critical contemplation about the past, present and future as well as the possibilities for action in the now give us the power to shape the present moment on an individual and collective level. The first step is “critical thinking”, which is especially cultivated in class discussions with others. “Critical thinking” is a term that has many interpretations. During a discussion, a participant suggested that critical thinking does not mean to attack every position, but to learn to view an issue from different perspectives and earnestly consider why they might each be equally valid and important to understand the subject matter. This understanding of “critical” deviating from how it is ordinarily thought of (as destructive or analytical) is crucial and implies that one’s own attitudes and beliefs are only part of a greater mosaic. Plato’s Republic becomes a guide for students in their first semester to challenge the self and the environment through simple questions about the nature of things, just as Socrates did. He reveals how human beings cling to masters which define the world for them without having truly contemplated for themselves. It is up to us to question who shapes our desires, the world’s desires, what motivates and moves human action – it’s a question to ask not only in classes but anywhere and anytime throughout our lives. In an article about the college that appeared in the newspaper Die Welt in 2000, the author Christine Brinck writes: “ECLA will die alte Tradition der “great books” nach Deutschland zurückimportieren, will nicht die monologische Vorlesung, sondern will den sokratischen Diskurs pflegen, will die hervorragende Lehre mit der exzellenten Forschung koppeln” [ECLA wants to bring back the old tradition of “great books“ to Germany, does not want the monological lecture, but wants the Socratic discourse, wants to couple excellent teaching with excellent research] [*3]. ECLA stands for European College of Liberal Arts and was the historical name of the college until 2013. ECLA first opened its doors in 1999 as an International Summer University (ISU) where students and professors studied key issues in European and world philosophy, literature and culture in Berlin. ECLA was temporarily established in Berlin-Buch in 2000 and moved to the current campus Berlin-Pankow in 2003. The academic offerings evolved with the introduction of the Academy Year in 2002 and with the Project Year in 2003, and eventually the first B.A. program in Value Studies in 2009. ECLA became a part of the global educational Bard network in 2011, taking on the name ECLA of Bard, and in 2013 became Bard College Berlin. The Humanities, Arts, and Social Thought BA program was accredited in 2013 while the Economics, Politics, and Social Thought BA program was accredited in 2015. 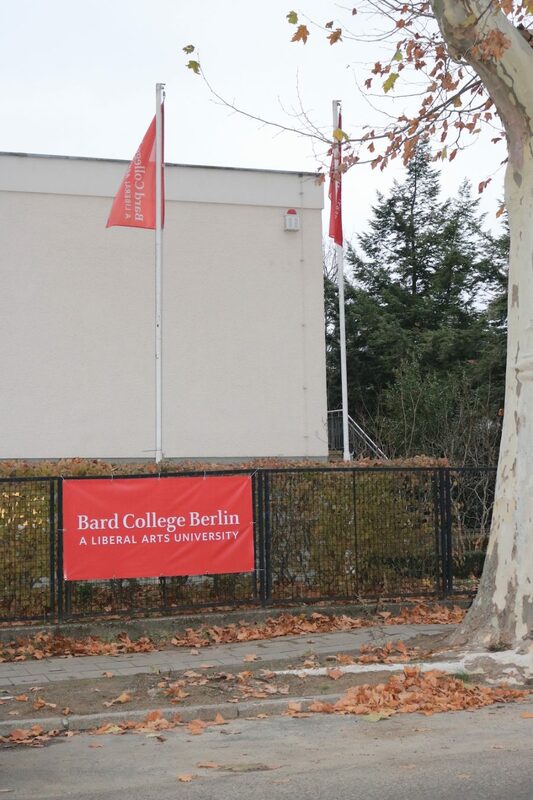 Today Bard College Berlin offers interdisciplinary studies, small-group seminars, a civic engagement component, and has a highly diverse student body. 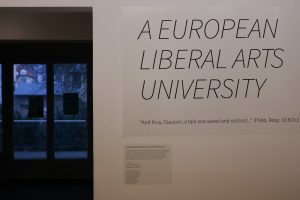 On the website it is stated that “[a] key purpose of the program’s development was the intention to combine the best elements of American liberal arts education—with its emphasis on choice, exploration, critical reflection, and engagement—and the demands of specialist focus in a specific subject area that is characteristic of European public universities” [*4]. The historical basis for the modern liberal arts (which are often taken to include the humanities, sciences, and social sciences) are the Artes Liberales. The Artes Liberales entail the trivium (grammar, logic and rhetoric) and the quadrivium (arithmetic, geometry, astronomy, and music), with the quadrivium added in medieval times [*5] [*6]. In classical antiquity, a liberal arts education entailed only the trivium and was considered suitable for free Greek and Roman citizens. Non-free members of society and slaves would be trained in vocational or technical studies. “Liberalis” means “appropriate for free men,” and the education had the purpose of freeing the human being, helping them realize their potential through learning the disciplines, and emphasizing civic duty. Nowadays the idea of freedom and the exclusivity of this training are contested, but it is nevertheless important to understand the historical origin of the concept of social responsibility that is also stressed by our college. Maybe many of you already have a basic understanding of what liberal arts can mean. However, for someone like me growing up in Berlin, liberal arts was a foreign concept. I was very glad and excited when one year ago around this time, a session about liberal arts with almost all students and professors took place. From all the contributions on that day, I remember one in particular: A student stood up and asked how everyone can go back to their normal lives after questioning the world and our existence in the classroom without “freaking out” later. What a brave and brilliant question. I wholeheartedly agree that liberal arts means crisis. This word is negatively connotated, but it gives space for questioning, uncertainty, destabilizing and reshaping: Let’s admit we don’t know and give space for each other’s fears and insecurities. Life confronts the individual and society with mighty challenges, and dealing with them in honest and open communication with the self and others is the key. We should never stop questioning and even question the way we question, including the concept of liberal arts and our understanding of it. As part of my research for this piece, I found out that in the previous years an annual event was held to explain and debate the methodology of our education, and a reader was put together with texts on the liberal arts that students would discuss together in sessions. Excitedly, I searched for the liberal arts reader in the library’s archive and couldn’t feel other than nostalgic about it. This passage shows that the goal of liberal education is not to produce students who write perfect A-papers, but to nurture individuals who live an examined life. In light of this thought we can ask more radical questions: Why are we even educating ourselves? What is the role of academia in the world? How can practical change be achieved? What kind of change do we want in this world? Do we have to aim at change? What relationship do I have to myself and this world? What should be societal values? What are my values and why? A liberal education places special emphasis on the individual, and therefore it is one of the college’s responsibilities to help cultivate the students’ understanding of it. What I’ve heard students spontaneously say about this college, without my questioning, was most inspiring. Here I must mention that students at Bard College Berlin have a mesmerizing power that lightens the classrooms and other spaces of personal conversations. Let me go so far as to say that what is most Socratic about BCB is not the texts we read, but the endlessly transformative processes created through in- and outside classroom conversations with smart and sensitive students. In one conversation a student mentioned how, in her home country, education meant simply memorizing anything you are given without challenging it. Because she wanted to question what she learns, she decided to come to Bard College Berlin. Another student said that this college allows you to express personal passions. One teacher said that what we do in this place is creative because of the spontaneous and in-depth conversations. In her recent campus talk “What is Liberating about the Liberal Arts?” alumna Alia Mossallam shared a thought that has stuck with me ever since: She said that in discussions with others, you do not only (re)calibrate your own voice but start questioning where your ideas come from. Her insight brings me to the question of the individual’s role in their own education. Our tasks as students include reading attentively and critically, participating in class, and listening to others. Truly listening to others requires humility and the willingness to question one’s own stance. Respect towards opinions that do not correspond with our own is, I argue, more important than finding “the true answer” — for does it even exist? In our discussion culture we should be conscious leaders and set an example for respectful, sincere and meaningful dialogue. Our attitude towards our studies at Bard is crucial. If we only read the texts in a shallow way (or not at all), we cannot contribute to commonly creating a qualitatively rich class discussion. This way, we do not only hinder our own development, but that of others. We bear a responsibility not only to ourselves, but to the community we are growing in. Next year at Bard College Berlin, an ambitious team is helping continue the conversation by organizing the 4th liberal education conference – LESC 2019 – for the coming May. This initiative exactly tackles the questions we need to think about. From May 2nd to May 5th, participants from all over Europe will contemplate Liberal Education in conversation with “today’s world of tomorrow.” However, it remains relevant for us to continue the discussion on campus after the conference. The questions remain what liberal arts education means to the individual and how its various understandings can be revived and recreated in our teaching methodologies. We need to continue the conversation about liberal arts, its meaning and significance for the individual and the world. I’d argue that the core characteristic of liberal education is critical thinking — by which I mean the capacity of an individual to filter impressions through their own singularity and at the same time question their own contributions and ideas. The vocabulary we acquire from Plato’s Republic in the beginning of the semester can be a vivid reminder and motivation to keep this “core” alive within us and in our discussion culture. We are born into this world and every day can be a journey to rethink our life, the events in the world, and if and how we want to shape ourselves and our surroundings. For only if we start asking questions about what we do and why, about ourselves, the world in general and our place in it, can we revive the critical core of liberal education and live an examined life. Etzold, Sabine. “Das College Im Kopf.” ZEIT ONLINE, 30 Sept. 1999, www.zeit.de/1999/40/Das_College_im_Kopf. Brinck, Christine. “Humboldt Kehrt Aus Amerika Heim – WELT.” DIE WELT, WELT, 16 Nov. 2011, www.welt.de/print-welt/article521122/Humboldt-kehrt-aus-Amerika-heim.html. Bard College. “History.” History of Bard College Berlin, berlin.bard.edu/about-us/history/. “What Is a 21st Century Liberal Education? | Association of American Colleges & Universities.” The Happiest Time in the History of the World, 24 Sept. 2015, tht.leoromero.org/what-is-a-21st-century-liberal-education-association-of-american-colleges-universities/. 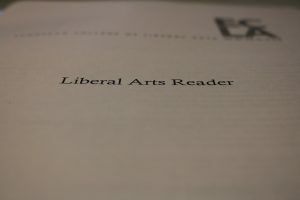 “History of a Liberal Arts Education.” LiberalArtsCollegeReview.com, 31 Mar. 2017, www.liberalartscollegereview.com/articles/11.